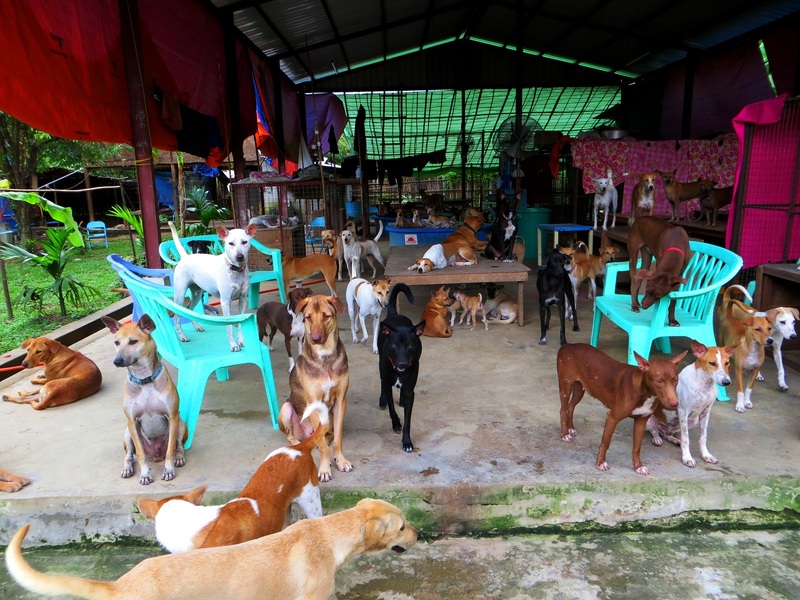 The Yangon Animal Shelter was founded in December 2012 and since then it has provided refuge for hundreds of street dogs who were injured, at risk of poisoning or simply young and motherless. 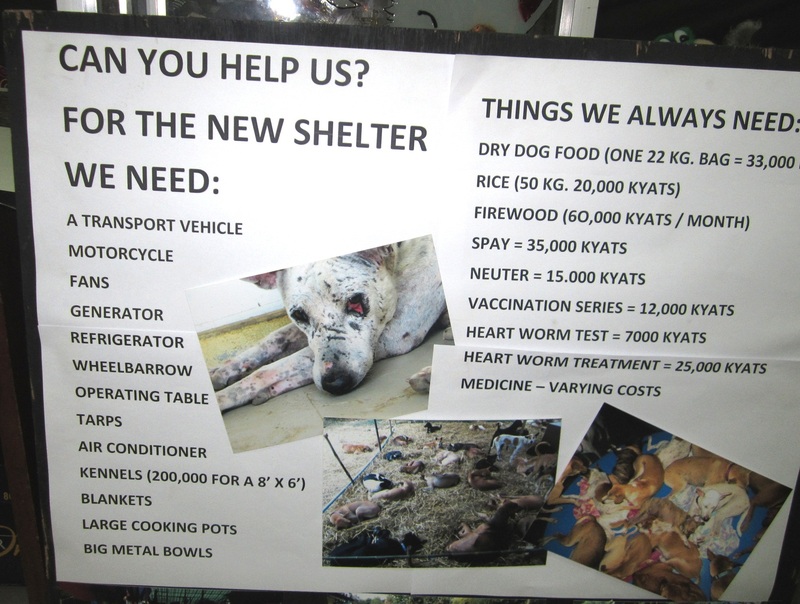 However despite the recent opening of a second, larger shelter, co-founders Terryl Just and Daw Roza Win, both of whom work full-time at the International School Yangon, said they are struggling every month to raise enough funds to feed and care for the dogs, who currently number around 250. They are assisted by a small but committed group of volunteers. “The dogs end up at the shelters primarily because members of the public have called us pleading to take them in because they are in danger of being poisoned [by Yangon City Development Committee], or their neighbours are throwing rocks at them, or they are sick or injured,” Terryl Just told Mizzima Business Weekly. “I realise I can’t help every street dog,” Terryl, a self-professed animal lover, concedes. Authorities have long used poisoned meat bait as an attempt to keep the number of strays down and thereby reduce the public health risk posed by rabies. However sources told Mizzima Business Weekly that in the lead up to the SEA Games hosted by Myanmar last December, the culling campaign notably intensified. According to Terryl, an increase in tourist numbers is also a factor in poisonings occurring more frequently than in previous years, as authorities are naturally keen to present Yangon in the best possible light. However it seems the goal has backfired, as public outrage is mounting. “Tourists have written to me saying, ‘I feel so bad for the street dogs here. How can I help? Can I send money? Many are aware of the poisoning,” Terryl said. According to Humane Society International’s Asia Director Rahul Sehgal, culling is an ineffective means of controlling the number of stray animals. He also said that scientific research has established that killing street dogs has no impact on the number of human deaths caused by rabies. “Dogs move in packs and when certain pack members are culled, it creates an imbalance within their environment. The surviving dogs come together and quickly form new packs. With the temporary decrease in the dog population, there is less competition for food, which allows the new packs to eat and breed more. More puppies are born to the surviving animals, and more of them survive, and more dogs migrate into the area recently rendered dog-free,” he explained. A far preferable alternative is what is known as animal birth control (ABC) – this involves dogs being briefly captured in order to be sterilised and vaccinated before being released in the same area they were found. However it must be carried out on a wide scale to succeed. “Within a breeding season, you have to target 70 percent of the existing population of street dogs,” Rahul explained – because if one pair of dogs is allowed to breed successfully, they can produce up to 55,000 dogs within 5 years. “If the long-term experiment of culling hasn’t yet solved the problem, other options should be considered,” he added. 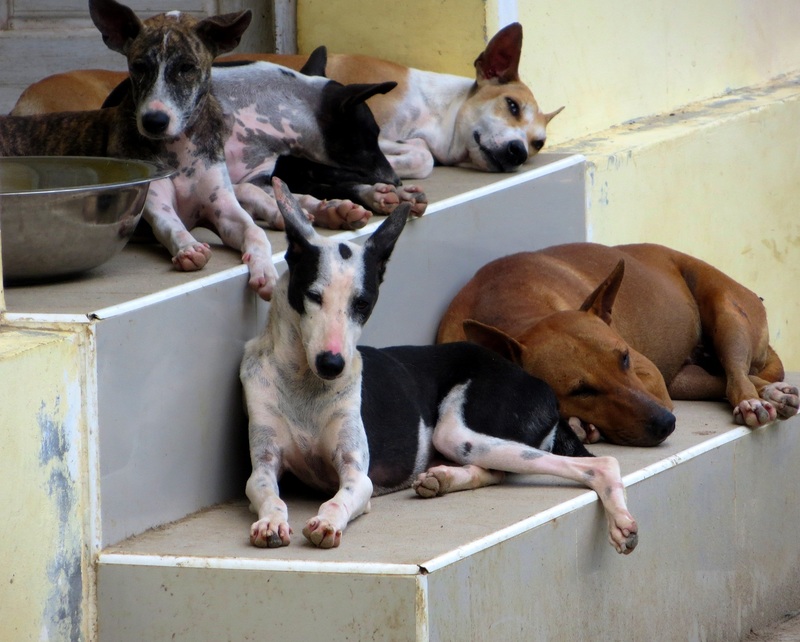 India is considered the pioneer of animal birth control and in 2000 its parliament passed an amendment to the Dog Management Act, which stipulates that the only way street dogs are to be dealt is by sterilisation and vaccination. Any other method is illegal. Fortunately for Myanmar’s street dogs, a glimmer of hope has appeared on the horizon. In late April the Bridget Bardot Foundation contacted Terryl Just to express interest in funding a sterilisation and vaccination campaign, as well donating money for necessities such food – which alone amounts to US$3,000 a month. “However the foundation said that they won’t do anything until the poisoning stops,” Terryl said. Terryl has since met with representatives from the French embassy in Yangon and a meeting has tentatively been scheduled with relevant YCDC personnel to discuss the idea of using sterilisation as a substitute for culling. “It would be wonderful if other embassies here could get on board to lobby against it,” she said. In the meantime, however, both shelters are “completely over capacity,” Terryl said. The first shelter, which is on a third of an acre, was built to accommodate 50 dogs but now has 120. The dogs at this shelter, which is located in Pele, Mingalardon Township, some 23 kilometres from the city centre, are mostly puppies and those with a higher chance of being adopted due to having affable personalities. She said there’s a common misconception among expats that it’s not possible to own a pet unless they are living in Myanmar permanently. She also pointed out that for those who live in apartments, older dogs make ideal companions. And for those who for whatever reason cannot commit to ownership, Terryl said there’s a “desperate need” to find people willing to fostering a puppy for a short period. She explained that puppies below the age of six to eight weeks can’t be immunised so the risk of them contracting illnesses is high, along with the fact that young puppies without a mother need more TLC than older dogs. “We’ve lost a lot of puppies due to the fact that some [dogs] carry diseases but don’t show signs – notably canine distemper virus. Sadly it’s very common,” Terryl said. The clinic’s vet, U Myat Oo, is one of two vets who provides treatment to the shelter’s dogs – and he does so free of charge. Although it’s still under construction, Yangon Animal Shelter is already attracting four-legged friends. 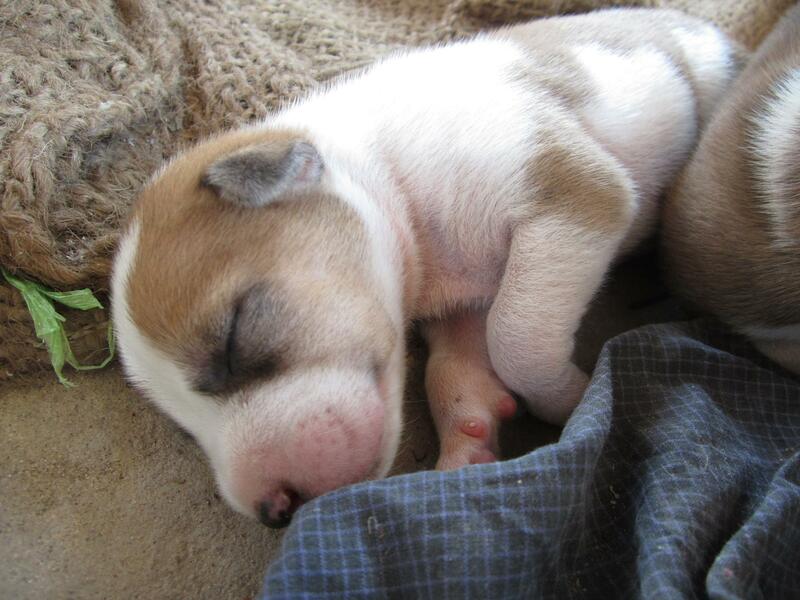 Under the workmen’s table at the site in Pele, five puppies less than a week old doze in the afternoon sun. They rouse and waddle over to their mother for a feed the moment she flops down on a hessian bag. 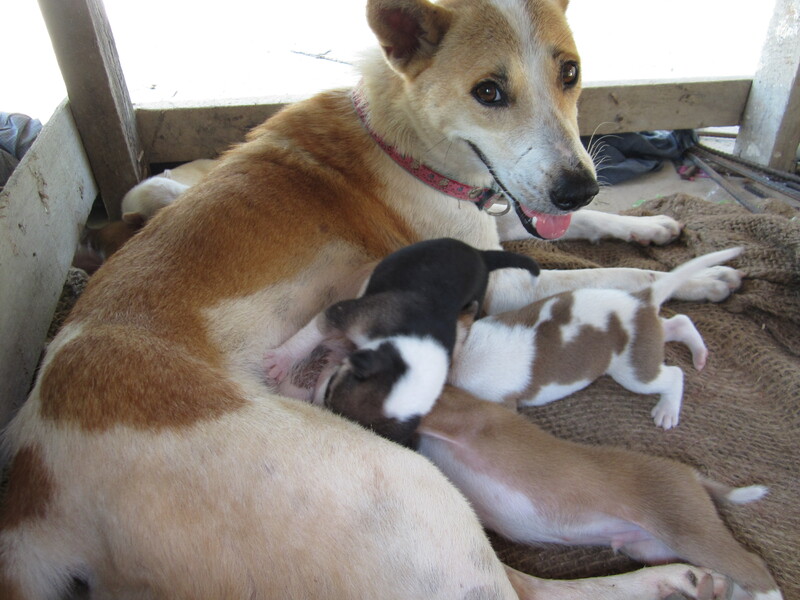 The litter’s arrival on the site appears fortuitous – however it reflects Yangon’s stray puppy problem. “The shelter really needs to get going. There are puppies everywhere and many are in a bad condition,” said Terryl Just, one of three people involved in opening Myanmar’s first animal shelter. Although no estimates exist as to the number of strays roaming the streets, street dogs eek out an existence on almost every block in Yangon’s downtown area. At this time of year, with “puppy season” in full swing, litters of pups trail after their mothers like packs of geese. Survival rates are low, as many are killed by traffic, disease or as Myit Ma Kha Media Group reported in October, poisoned bait. Yangon City Development Committee lays poisoned beef on the streets in an attempt to prevent rabies and other infections among humans by reducing the number of street dogs. An expat told The Myanmar Times that her two dogs were killed in less than a minute after accidentally swallowing the poison while she was walking them. Terryl said that while Myanmar people tend to prefer pedigree dogs as pets, she is hopeful that with an increasing number of foreigners coming to Myanmar, more street dogs will be adopted. Nevertheless, Myanmar people are kind to street dogs; small bags of rice are left on footpaths to prevent them from going hungry. Many dogs wear collars even if they have no fixed address: they are “community dogs” which are looked after by shopkeepers and others. However there is nowhere in Yangon for the sick and injured to convalesce. Fortunately, the shelter will be attended by five vets who will treat the animals free of charge. The organisers – Terryl Just, Daw Roza Win and Emma Beesley – had hoped the shelter would be up and running by late October, but with unforeseen delays in its construction, the date has been pushed back to the end of December. The newly constructed fence isn’t high enough to keep the dogs in securely so it will need to be reinforced, the cement floor needs extra layers for durability and the clinic lacks supplies. The walls for the airport hangar style shed, which will have a capacity of about 40 dogs, are not yet built. The shelter’s location, which is about 24 kilometres from the city centre, adds to the expense of construction because transporting materials takes more than an hour from the downtown area. However finding a property closer was impossibly expensive – even with an extremely generous donation of US$20,000 from a single person. 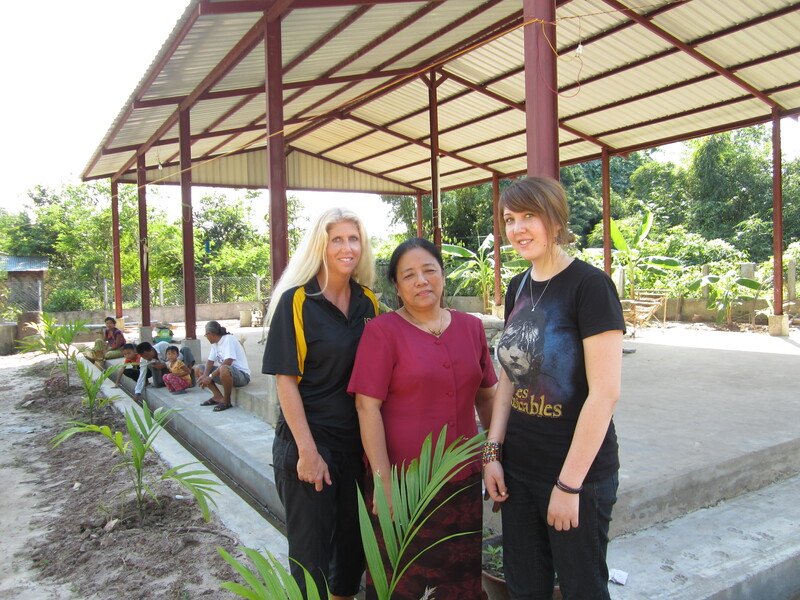 Daw Roza Win donated her own land to the shelter, which allowed the donor’s funds to go towards its construction. However the site is relatively small for its purpose. It occupies a third of an acre on Aung Thabye Road and is adjacent to an undeveloped plot of land. The shelter’s organisers are keen to lease the vacant plot so that the dogs will have more room to exercise – the trouble is that they haven’t been able to identify the owner. After Daw Roza Win donated the land, the first step was to build a road to the site, making it accessible during the monsoon season. This was completed in April. The dense bushland was cut back to make way for kennel facilities, secure fencing and a veterinary clinic, which are about a month off from completion. Other funds have been largely raised by word-of-mouth. Parents at the International School Yangon, where Terryl and Roza both teach, donated money for the water tank. The school community has also sold ice-cream. A fundraising dinner is being planned, along with t-shirt sales and a calendar. 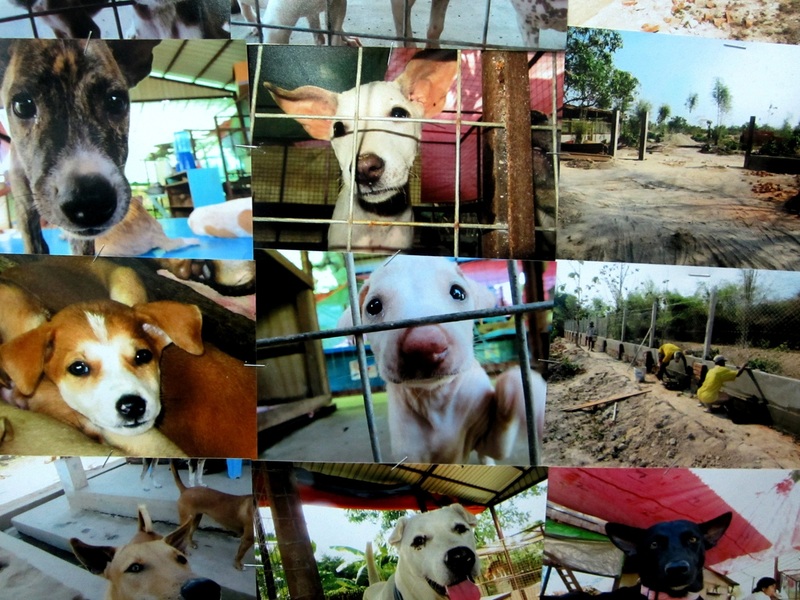 The calendar’s pictures will feature Yangon’s rescued street dogs – “to show how beautiful they are,” Terryl said. More funds are desperately needed – particularly for the shelter’s running costs. Volunteers to walk and feed the dogs will be welcomed. With so many contenders for a shelter, it will only be possible to take in “the most extreme cases,” Terryl told The Myanmar Times. “We will always try to find homes but there is no way we can keep up,” she said. If a home hasn’t been found by the time a dog has recovered from an injury or illness, it will be returned to where it was picked up, provided the area is reasonably hazard-free. Each dog that comes through the shelter’s doors will be vaccinated and sterilised, and a public awareness campaign about the need for these procedures will be a key part of the shelter’s activities. Terryl said that Yangon Animal Shelter will not welcome the dumping of animals there due to an owner’s change of heart. While living in Myanmar for the past nine years, Terryl has rescued dozens of sick, injured or just plain lonely dogs from Yangon’s streets. There is no doubting her commitment to each and every dog she cares for: Terryl once flew a dog to Florida because she’d been unable to find it a home in Yangon before she was due to leave for her summer break. She also paid for a street dog to undergo chemotherapy, and described its ultimate passing with evident distress. 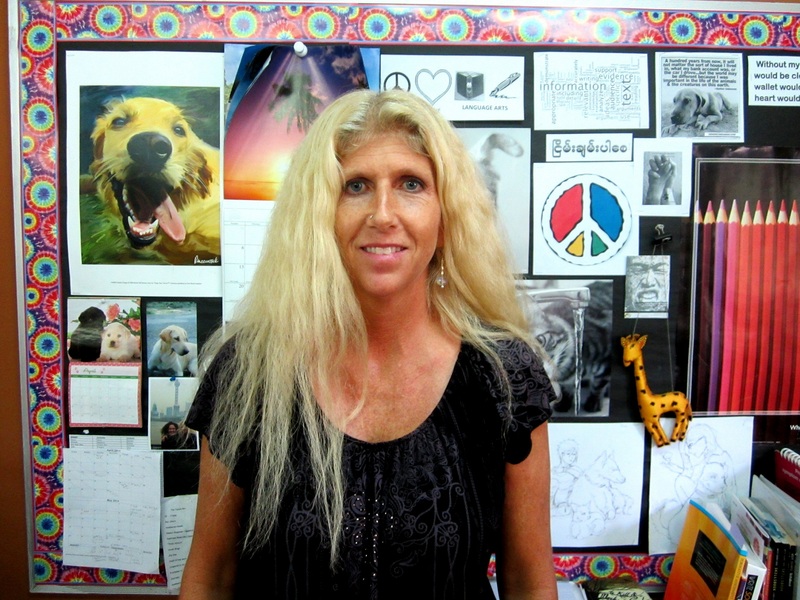 Terryl currently owns seven dogs, plus two cats she rescued from the streets of Bolivia. On the day of The Myanmar Times’ visit to the shelter, Emma Beesley – who is giving her time to the shelter during her gap year – is preparing to take home the six puppies that have found an uncomfortable refuge underneath a generator near Yangon International School. While some may argue that Myanmar has more immediate priorities to address, Terryl sees no reason to delay alleviating the suffering of stray animals. “The shelter is up and running and it is at full capacity!! We need to build one 100 times bigger!! You must come and check it out. There are dogs/puppies of all ages. We need find them homes so we can let more in!! !